Hadiya Aziz is a Partner at AzizLaw Advocates and Legal Counsel and is a Consultant at The Law and Policy Chambers. Hadiya's area of expertise is trial and appellate litigation, especially criminal and family law matters. She is one of the most frequently appearing lawyers on the roster of the Islamabad High Court. Over the last five years, Hadiya has successfully represented dozens of clients before various courts and tribunals. She has numerous reported judgments to her credit which include PLD 2014 Isb. 123, 2016 PCrLJ 693 and 2016 PCrLJ 998. In 2015, Hadiya was appointed as amicus curiae by the Islamabad High Court, being one of the youngest lawyers ever to have received this honour. Hadiya a graduate of the Law and Policy Department at LUMS. 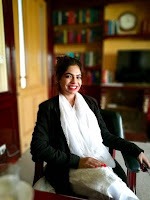 Prior to entering independent practice, she served as Law Clerk for Hon'ble Justice Syed Mansoor Ali Shah, Associate for Muhammad Ilyas Sheikh, ASC and Senior Associate for Khan and Muezzin, Advocates.